Fitted elongated bodice of tulle ruching over Sequined Tulle is accented by an asymmetrical skirt formed by ribbons of Sequined Tulle that create rosettes. Crystal buttons start at the back neckline and continue to the skirt. 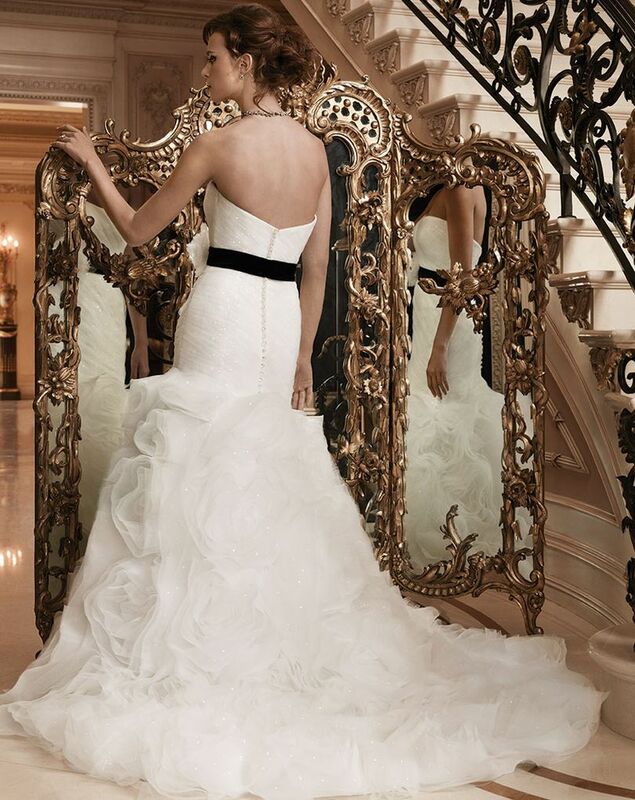 Detachable ribbon sash accentuates the waist.